The IPMS Reno "High Rollers" are a local, Chartered Chapter, of IPMS USA. We hold monthly meetings and offer a group enviroment for modelers of all ages to share and enjoy this great hobby. 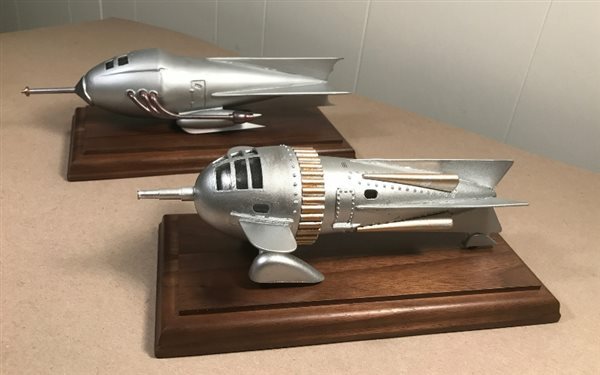 We have montly raffles and host an annual invitational contest to help bring modelers together from all over the West. We host our meetings in a very informal setting and spend much of our time discussing all forms of model construction and finnishing. We have a very diverse membership including Airctraft, Armor, Vehicle & Figure modelers as well as Paper model builders. We are always looking for new members and invite anyone interested to visit our web site and see what's going on in our club. We meet the 2nd Friday of each Month at 6:30pm. Our meetings usually are over by 8:30pm or so. We meet in the Conference room at Sierra Air Center, at the Reno/Tahoe International Airport. We have a great view of the runway and you never know what kind of interesting aircraft will be parked on the ramp. Sierra Air Center is located at 485 South Rock Blvd. on the East side of the Airport. From Interstate 80 head East on Mill St. to Rock Blvd. Turn Right (South) on Rock Blvd. and watch for the sign on the right.